and spread oodles of Yuletime glasnost and cheer doing it at Fun House Theatre and Film’s The Ultimate Holiday Experience. 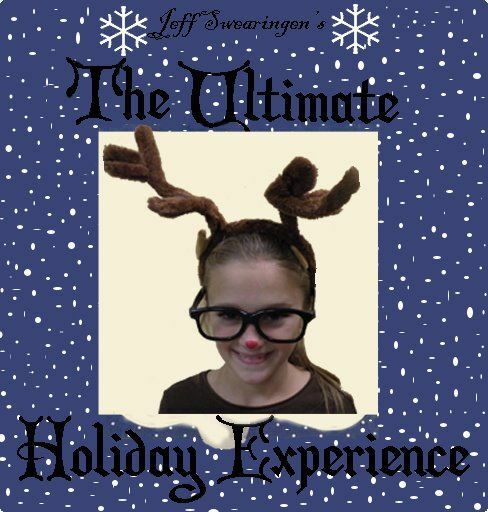 Running in six performances 12/15 through 12/18, this madcap romp emerged from the crafty conjuring mind of regional comic virtuoso Jeff Swearingen as the perfect holiday vehicle for his students at his popular school for young actors at the back of a Plano strip shopping mall. Historical reference with actual excerpts from political speeches, multi-media presentation, a spot of 70’s karaoke love ballad and several chocolate-dipped pretzel-twisted plots weave a two act entertainment that tickles the audience’s collective funny-bone, non-stop. Most importantly, it gives the young actors, who view their teacher/director Swearingen as a trusted role model and demi-god, the opportunity to experience the art and craft of theatre and film under the disciplined but loving guidance of a master practitioner. 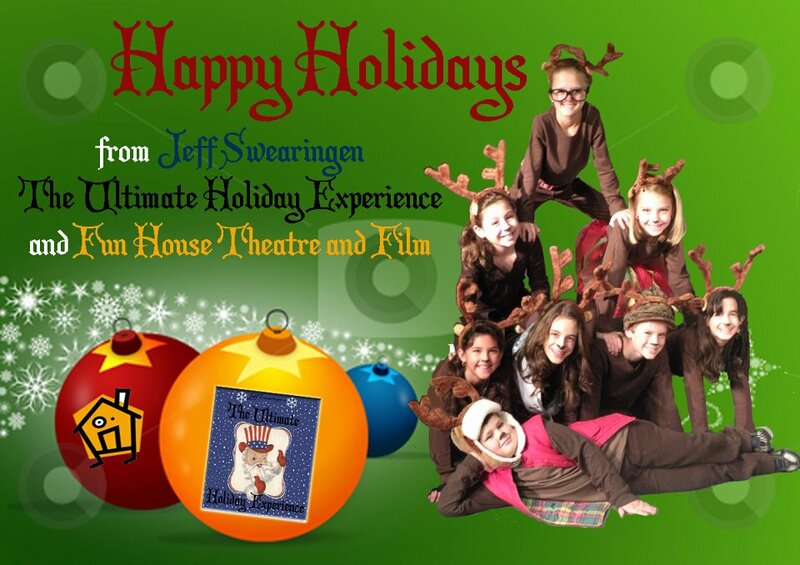 “The Fun House Theatre and Film approach is holistic, offering one of the most comprehensive approaches to a creative arts curriculum available to youth covering all aspects of stage performance, improvisation, technical theatre, acting for film, film production and writing for both the stage and screen.” They get a hefty chunk of the ‘real thing’ at Fun House and offer a solid, entertaining show as result. High points? With twenty-eight actors, some playing multiple roles? That’s unfair. Here are a few special moments; 1) the “Serge and Demitri” Ruskie scenes with a ‘Baroness’ costumed like Natasha from Rocky & Bullwinkle. Doak Rapp, Joel Jenkins and Madeleine Norton play comedy like seasoned pros and grasp how to maximize timing for audience response. Their brief Ruskie rap isn’t awful, either. 2) David Allen Norton as Ronald Reagan crooning Lionel Ritchie’s sappy 1984 love ballad “Hello” to an oblivious Margaret Thatcher 3) a Robocop film short about “The True Meaning of Christmas” with plenty of pyrotechnics 4) Brad Weatherford as Dan Quayle in flannel PJ’s, spelling ‘tic-tac-toe’ with great trepidation 5) the hyper herd of loquacious, worldly reindeer, who seem to have lost Santa while flying across the night sky…. Buy your tickets ahead of time for this sell-out production. Take a stadium pillow along – the benches can be a bit hard on the tush. It’s a Cold War Christmas! Enjoy a spot of glasnost with your Plano perestroika. All made possible by Plano Children’s Theatre Developing Characters. 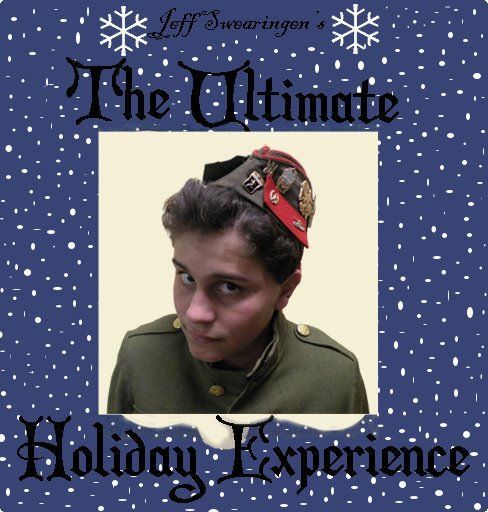 With six performances 12/15-18. Saw it last night and LOVED it! Couldn’t believe the comedic timing and wild political references!